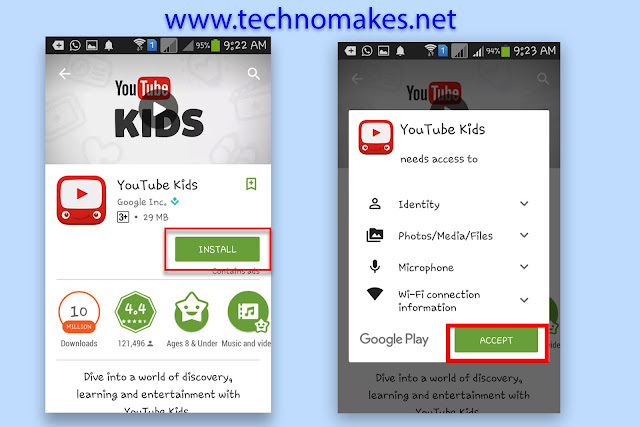 Hello, friends today I am telling you how to download and install YouTube Kids app on iOS (9.3.4 or 10) and Android(7/6) to entertain kids or help them learn in a fun way anywhere. This is a tutorial on how to install the YouTube for Kids app to keep your children safe when watching videos online. You may prefer to observe what your kids are interested in and help them learn in terms of their activities during watching various videos online on youtube or any other website. so, youtube kids app is the best solution for concentrating on your kid's activity. On the other hand, it is not so easy to pick out a very age-appropriate video for your kids from countless contents online. 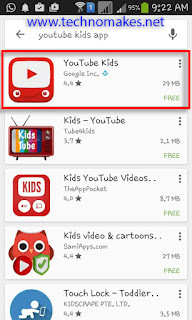 Focusing on families and kids, Google released YouTube Kids app for iOS (9.3.4/10) and Android (6.0/7.0) devices leading parents to learn to pretty suitable entertaining or learning videos for kids much easier and bringing great video viewing experience to children. 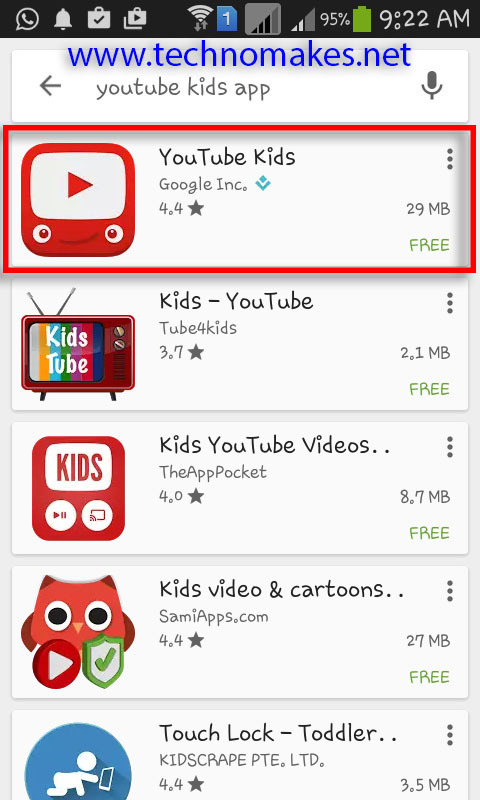 This article will guide you to download YouTube Kids app for iOS/Android for giving your kids a safe and fresh way to explore videos. 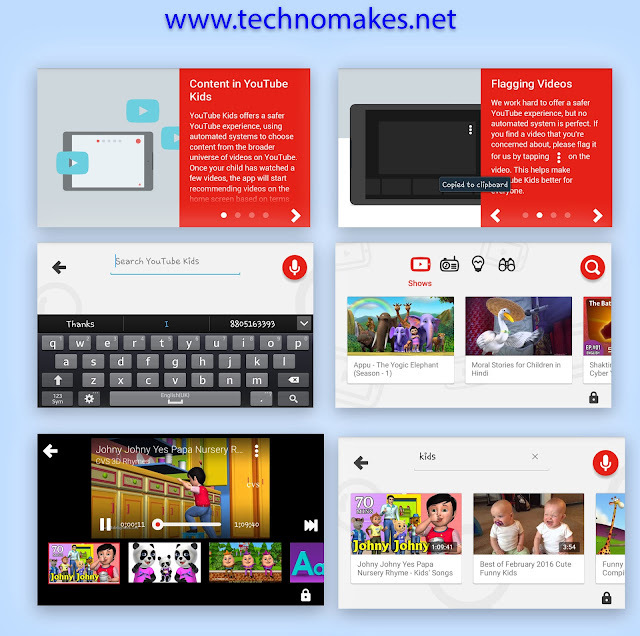 YouTube Kids app comes to us with a completely kid-friendly design, fast and simple navigation, large images, bold buttons and more. It classifies family-focused contents into different categories, Shows, Music, Learning and enables kids to discover cartoons, kids' songs, games etc, from Explore category. Kids can browse favorite channels like Sesame Street, Dreamworks, Talking Tom and Friends and more to grab new series and new upgraded contents. In addition, parents can control viewing experience of kids by turning off the search to only allow kids to get channels and playlists on home screen protecting them from some improper contents, to let kids know when to stop watching with the built-in timer or turn off sounds for a quiet environment. 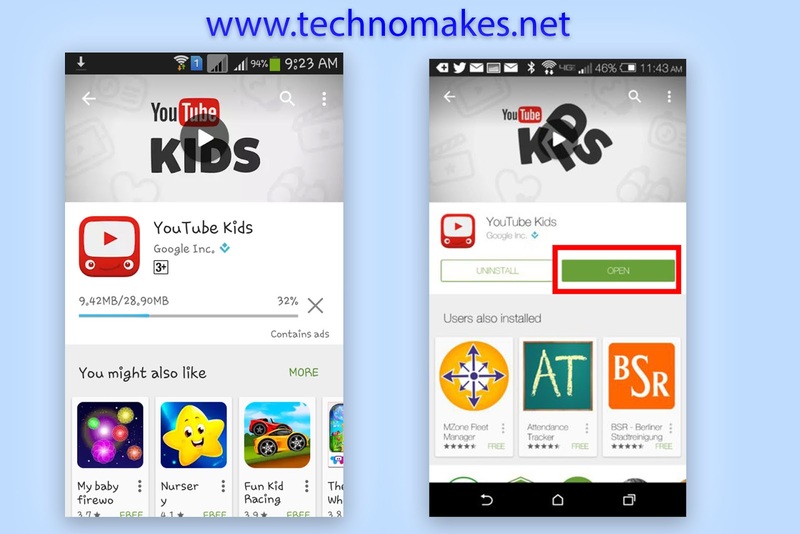 In your Google play or app store, search for "YouTube Kids" and tap the icon as it appears. You will be prompted to install the app. 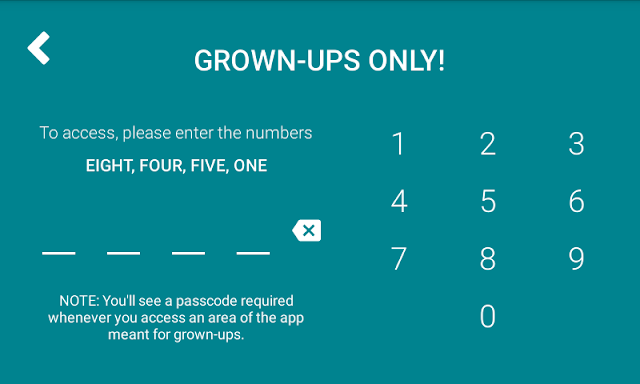 Once you click install, you will need to accept the terms to access the components to operate the app and enter your password. Wait a moment while the app installs. The stronger your internet connection, the faster the app will install. Once installed, you may open the app by tapping on the green open button. In order to establish the safety permittees for your child, you will need to set them. You can set time limits, limit or eliminate search, and more. Tap the lock icon to input your appropriate settings for your child. YouTube has spelled out the numbers for you to enter to confirm you are an adult. Now you should be ready to hand over the phone to your child. There additional settings if you tap the gear icon. You can also use the timer to limit how long your child can watch videos. You can see that search is limited to child-safe content. YouTube Kids is the best app for kids and well-received by most parents for it grants an effortless and safe way for kids to watch favorite videos, shows and learn simple songs, crafting, alphabets etc. It requires a network connection. You will spend huge mobile traffic cost without Wi-Fi. Poor network will cause long-time loading or even sudden interruption. The ads before real video may make your kids annoyed. 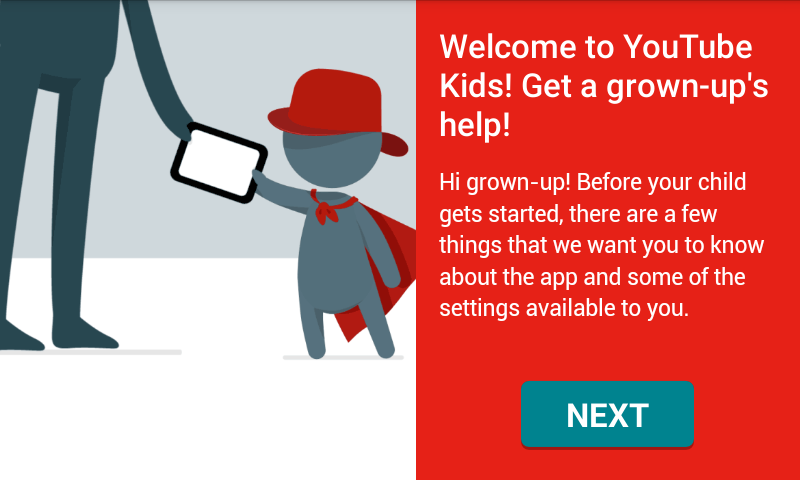 YouTube Kids limits to U.S. users right now. If you want to get YouTube Kids videos playback offline without ads and network influences, or you are not a U.S. user but want to play great YouTube Kids videos for your kids, you can free download videos for kids from YouTube instead of download YouTube Kids app. WinX YouTube Downloader is one of the leading YouTube video downloaders to free download any YouTube Kids videos, latest movies, music, sports videos etc, in 360p SD, 720p/1080p HD, even 4K UHD speedily. Bundled no adware, spyware or virus, you can use this best YouTube kids video downloader on your computer with no worries at all. Tip: You can directly transfer the downloaded kid's videos to iPhone, iPad, iPod via the best video transfer software - WinX MediaTrans, which can convert all incompatible videos to iDevices playback formats for smooth playback.